Our aim is to create happy memories in a loving environment and to nurture your child’s spiritual, physical and emotional well-being. We are committed to teaching/scaffolding foundational life learning skills which will prepare your child to be set up for success. 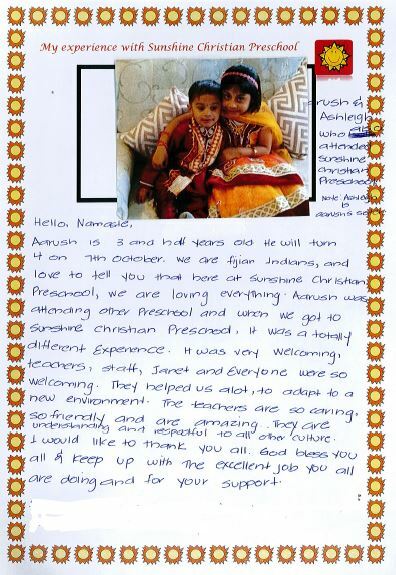 We are here to ensure that your preschool journey with us is a happy and a memorable experience for your whole family. 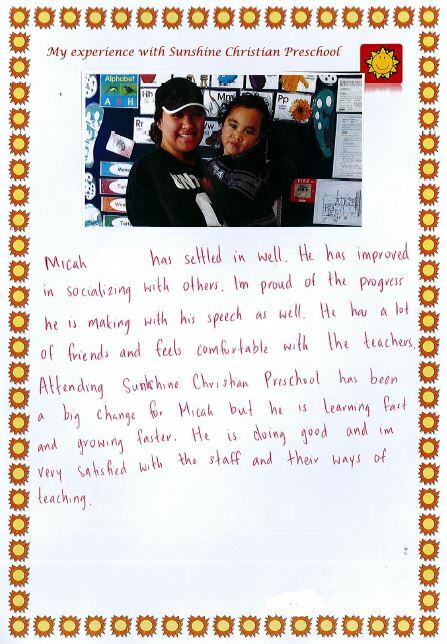 We look forward to working together for the benefit of your child. 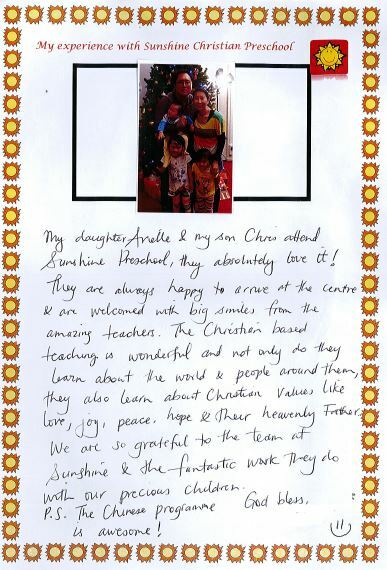 Sunshine Christian Preschool is a preschool for 2-5 year olds where children are taught within a distinctively biblical framework and nurtured in a loving, caring environment. We are located at 30 Hilltop Rd, Flat Bush, Manukau above the Hilltop Community Centre. 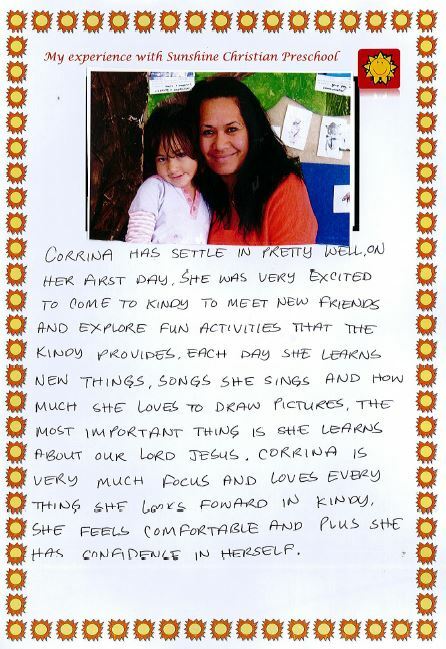 We are a multicultural preschool, attended by children from many different backgrounds. We are also privileged to have highly qualified and experienced, multicultural staff members. 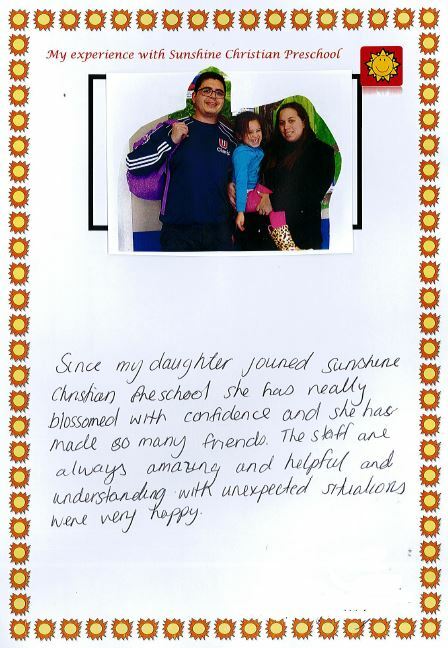 We appreciate all parent helpers and you are welcome at our centre at any time to visit, observe, join in or have a chat about your joys and concerns.